Put simply, enhanced pension annuities (also known as an impaired life annuity) quite often pays you a higher income as your life expectancy is perceived to be lower. If you are a smoker or have been diagnosed with a medical condition then an enhanced annuity could be the one for you. Do you suffer from chronic asthma? Do you suffer from or have you ever suffered a serious illness such as cancer, stroke, heart attack, angina or multiple sclerosis? • Have you recently undergone major surgery? If you have answered yes to any of the above questions, let us know. We can check if you qualify for special annuity rates. You may be asked to fill in a simple questionnaire to check whether you will qualify for a higher income. You receive a secure level of income, allowing you to budget. This is useful if you don’t want the risk of your income going down. You will not benefit from any future increases in annuity rates once your annuity is set up. If you select a single life annuity, without a guarantee period, and die shortly after setting up your annuity, there are no further benefits payable and you or your estate may not get back all the money that was used to purchase the annuity. Enhanced annuities can increase your retirement income by as much as 30%. With most financial products, you get penalised for being in poor health – through higher premiums or a worse deal. But with annuities, a medical condition can work in your favour, and could boost the amount of income you receive by as much as 50%. These types of annuities are called enhanced, or impaired, annuities. This guide explains how enhanced annuities work, and the questions you’ll need to answer if you think you might qualify for one. Enhanced annuities work on the basis that, if you have a medical condition, you’ll have a shorter life expectancy than someone in a better state of health. Annuity companies see you as someone that they’ll have to pay for less time, so compensate you by giving you a higher income, essentially using up your pension fund more quickly by giving you access to more money each year. They pay out more each year than standard annuities, on the assumption that they won’t last as long. 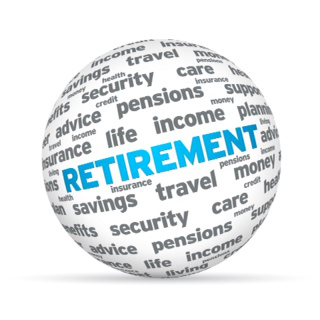 Who qualifies for an enhanced annuity? According to industry figures, around 20%of all annuities sold as enhanced. But industry sources say that 60% of all annuity applicants could qualify for some degree of enhancement – so it’s always worth checking with providers. Other conditions, such as asthma, high cholesterol, obesity and rheumatoid arthritis also qualify for increased rates, depending on their seriousness. The uplift you’ll get depends on the seriousness of the condition. For example, multiple heart attacks could get you 31% more income, type 2 diabetes 30% more, asthma 21% more and even being overweight could secure a 15% increase. How do I qualify for an enhanced annuity? Your life expectancy will be assessed based on health and lifestyle conditions, using a ‘common quotation form’. This ascertains the seriousness of your impairment. This is normally completed by your adviser and sent to each potential provider. You may have to provide supporting evidence from your doctor in cases of severe illness, but a medical examination is hardly ever required. Remember to be completely honest about the degree of your illness. And if your condition deteriorates after the purchase, the amount you receive won’t increase. You can use the checklist below to make sure you get the best enhanced annuity for you. If you have an adviser, they must ask about your health and lifestyle to see whether you’re eligible for an enhanced annuity. Make sure you mention this to them. There isn’t a single ‘best’ provider for everyone, so insist that your adviser contacts every enhanced annuity provider in the market. Be honest. Tell your adviser about your health and lifestyle – hold back, and you could lose out. If your partner smokes or is in poor health, you could still get an enhanced joint income – even if you’re a fitness fanatic. You have to complete only one application form, which your adviser will send to all providers. It’s unlikely that you’ll have to take a medical but you may need a doctor’s report. After your adviser has shopped around for enhanced annuities, compare the best quote with the one your pension provider has given you. Then simply pick the one which offers most. If you have been diagnosed with one or more health risks or conditions, we may be able to offer you enhanced rates on our Pension Annuity. This could mean you get extra income each year. If you qualify for enhanced rates, you will have the same options as you would from our standard Pension Annuity. The only exception being that you will not be able to choose for your income to increase in line with the Retail Prices Index on our enhanced annuity. Annuity Plus offers extra pension income based on five common lifestyle health risks. We can give you an instant quote over the phone. You could qualify if you’re a smoker or have been diagnosed with diet controllable Type 2 diabetes, high blood pressure, high cholesterol or high/low body mass. The more serious your health risk(s), the more income we could be able to offer you. Our enhanced Pension Annuity offers potentially larger increases to your pension income where you have developed one or more medical conditions. Again, the more serious your condition(s) the more we could be able to offer you. There are a number of more serious potentially qualifying medical conditions that could qualify you for extra income. You will be asked to complete a health questionnaire to provide us with more information about your condition(s) and we may contact your doctor before deciding on what income we can offer you from your enhanced annuity.